We reproduce the test cases initially proposed by Johansen and Collela, 1998, Problem 1, p. 14, with Dirichlet boundary conditions and Problem 3, p. 19, with Neumann boundary conditions. We also need a function for homogeneous Dirichlet condition. 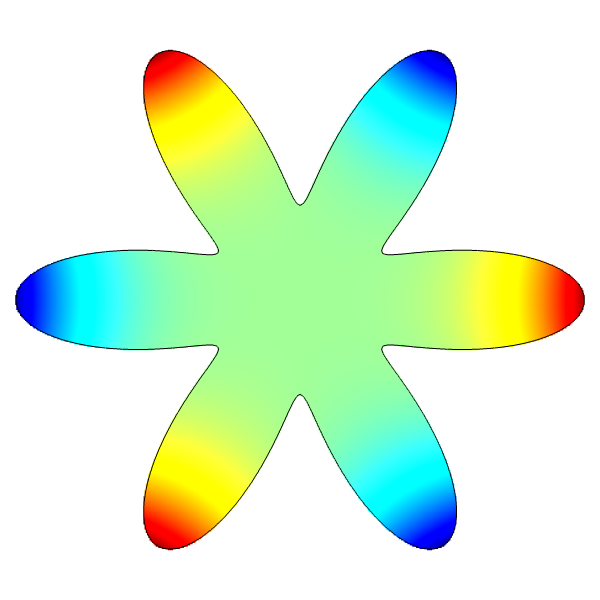 The shape of the domain is given by Ω=(r,θ):r≤0.30+0.15cos6θ for Problem 1 and Ω=(r,θ):r≥0.25+0.05cos6θ for Problem 2. Conditions on the box boundaries are set (only relevant for Problem 3). 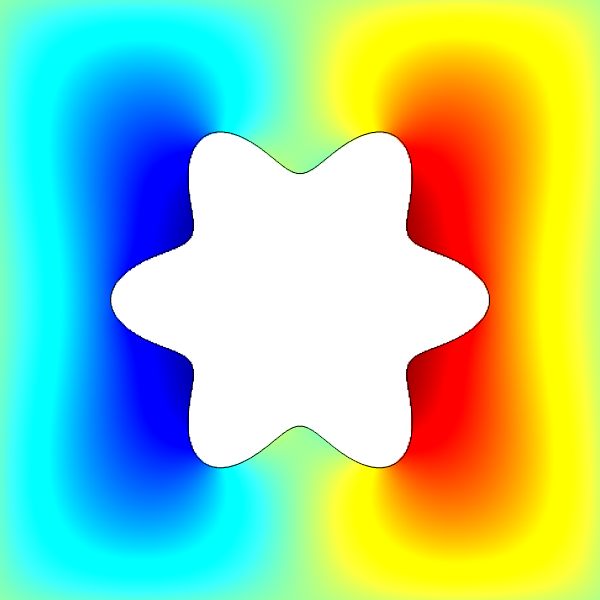 The boundary conditions on the embedded boundary are Dirichlet and Neumann for Problem 1 and 3, respectively. 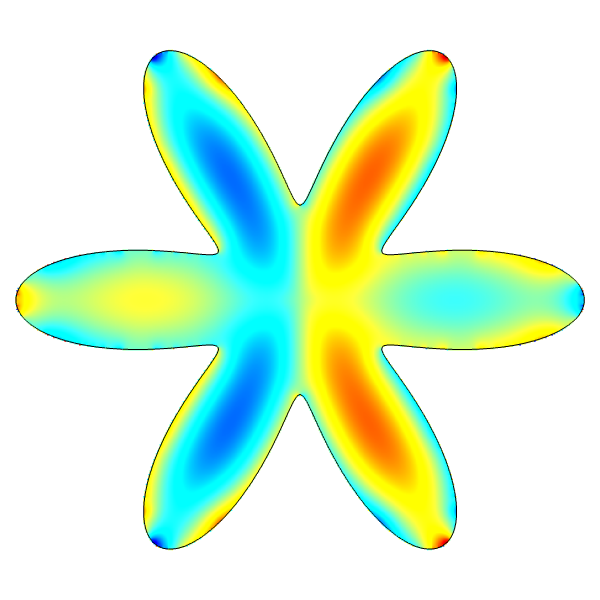 The right-hand-side Δϕ=7r2cos3θ is defined using the coordinates of the barycenter of the cut cell (xc,yc), which is calculated from the cell and surface fractions. The solution is displayed using bview. 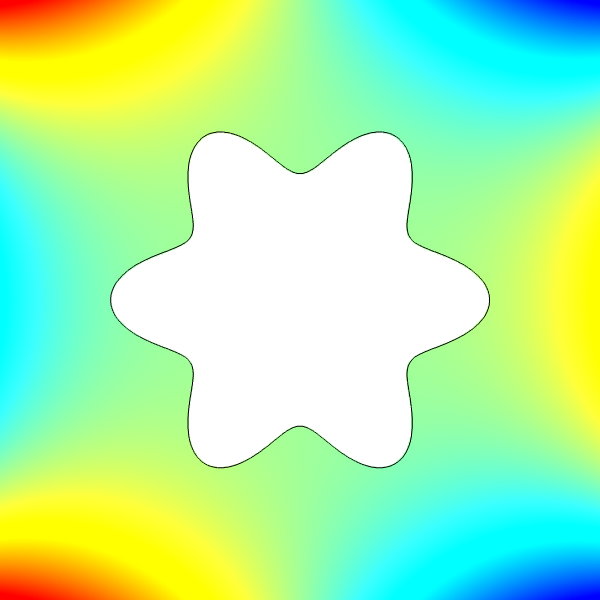 For Neumann boundary conditions, the residual also converges at first order in partial cells.